The vision of RISE is to offer an ecosystem for developers to interact and build on the RISE Delegated Proof of Stake blockchain. Since the release of the RISE TypeScript core into mainnet last month, it is now a great time to launch the RISE Application Challenge. We encourage a collaborative approach to development to attract the brightest and best minds to our network. The RISE Application Challenge is designed to engage developers of multiple programming languages to interact and create with RISE developer tools. RISE API libraries allow you to easily integrate RISE blockchain interactions into your own applications. 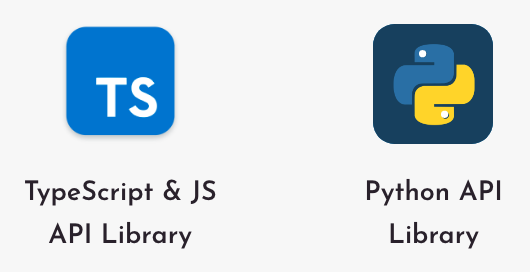 You can find the TS/JS API here and the Python API here. A few examples of applications previously created with RISE APIs are the Telegram Delegates Bot, RISE Google Ticker, Slack RISE Bot and DPOS Tools. Rewrite the RISE Block Explorer. Link to Github repository is here. A visualization dashboard of the RISE Delegate Monitor in near real time. An educational and recreational game using RISE. Develop the RISE interface for the open source Jolt cryptocurrency hardware wallet. Applications will be reviewed based on usefulness, creativity and integration of RISE. We welcome developers of all levels of experience and to ensure we remain transparent we will share our reviews of each submission once the RISE Application Challenge has closed. Winners will be chosen and awarded up to 100,000 RISE based on the criteria above. Rewards will be paid 2 weeks after the challenge deadline ends. The RISE Developer Application Challenge will run from June 1st 2018 to August 31st 2018. Firstly, go to the RiseVision Github and create your application. Please then submit the details of your application by completing this Google form. We will then invite you to a #development Slack channel. Your Application must be open-sourced code on Github under an MIT license. You must provide clear and concise documentation in English. Applications with a ‘how to’ guide or tutorial will gain additional points. You will be responsible for any tax implications related to bounty rewards you receive, as determined by the laws of your jurisdiction of residence or citizenship. To be eligible for a reward, you must not be in violation of any national, state, or local law or regulation. Be open, collaborate and think outside the box. Simplicity is the key when it comes to describing your project. Share the goals of your application, how RISE is incorporated and provide clear instructions for use. Bring it to life! Engage with the development team and RISE community developers to help improve RISE technology. Github is open for contributions, so if there is anything missing or you wish to open an issue head over to the RiseVision Github. What can you do with a RISE API? We look forward to receiving your submissions. Good luck! RISE Vision PLC (token symbol RISE) is an ecosystem for developers, offering a platform for the development of decentralized applications powered by a community-driven Delegated Proof of Stake (DPoS) blockchain.